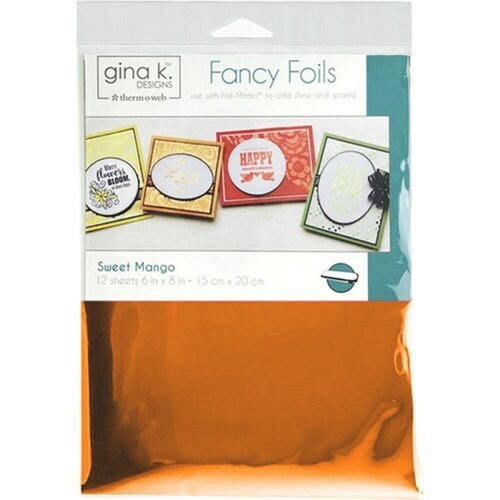 Add beautiful color to any project you can think of with the Sweet Mango Fancy Foils by Gina K. Designs for Therm O Web. Use these foils with a hot laminator sold separately to give your project shine; they can also be used with Deco Foil applications and adhesives also sold separately. The package includes 12 fancy foil sheets that measure 6" x 8" each.